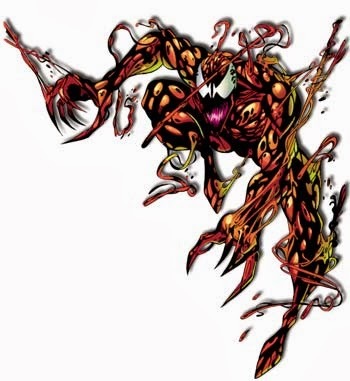 Carnage is the 'son' of Venom and was created when a piece of Venom's symbiote bonded with a homicidal maniac named Cletus Kasady. Carnage is thought to be dead after Cletus and the symbiote were torn apart in space. 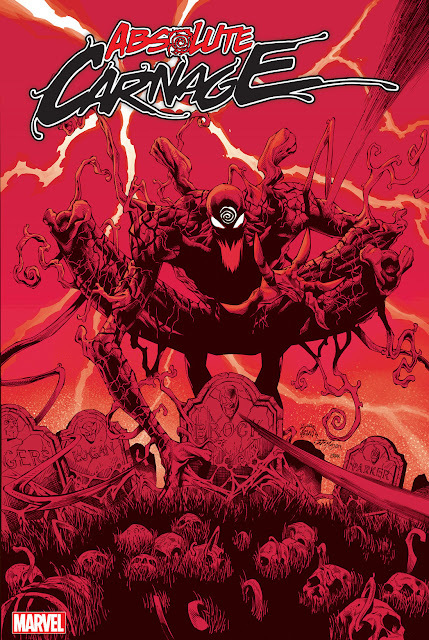 For full details of Carnage's history, visit Marvel.com.